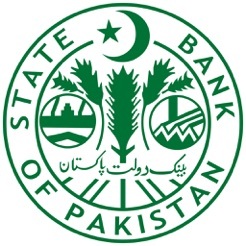 The official application of State Bank of Pakistan for increasing awareness about security features of Pakistani Banknotes. 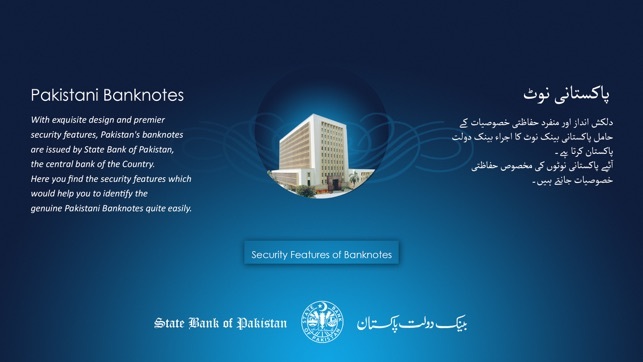 The app will help you to identify and check the security features of Pakistani Banknotes and save yourself from the risk of counterfeit notes. 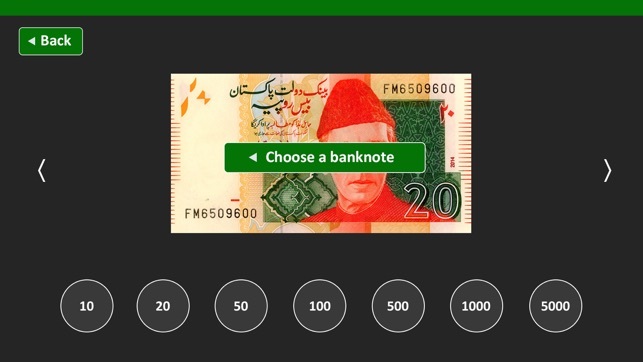 Simply select the desired banknote image and know the security features of Pakistani banknotes. 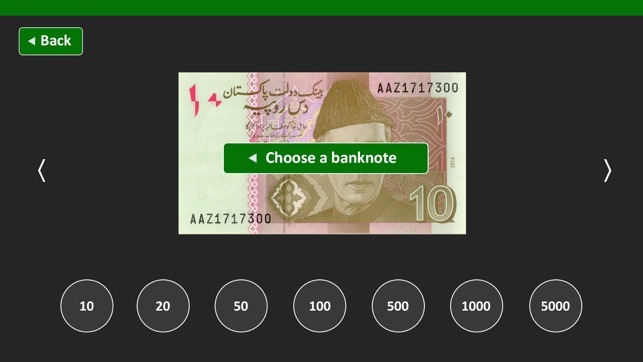 The App contains information about Pakistani Banknotes in English as well as in Urdu language. 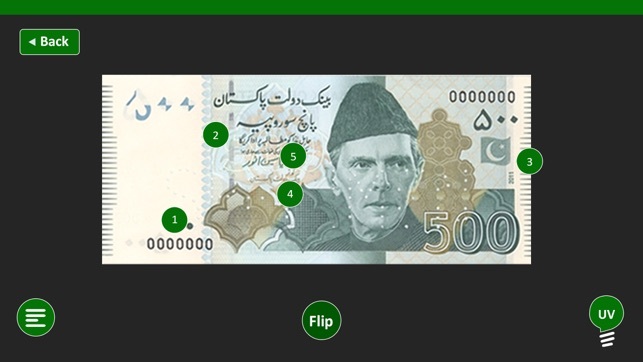 Fixed an issue with the security feature on Rs 5000 note.